Course Crafters, Inc. is a curriculum development and consulting company founded by Lise Ragan that specializes in the creation of state-of-the-art materials, tools, and resources for the growing population of emergent bilingual students—also called English Language Learners (ELLs), English Learners (ELs), and Dual Language Learners (DLLs)—and their teachers, PreK-grade 12. Course Crafters collaborates with other ELL specialists, school districts, and educational publishing companies to provide research-based education solutions for addressing the unique instructional needs and developing the assets of ELLs and their families. 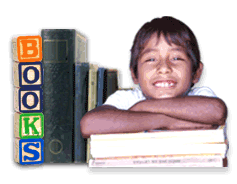 Our goal is ensuring the academic success of each and every English learner. Course Crafters has been researching, planning, designing, developing, and publishing practice-based curricula and resources for emergent bilingual students and resources for teachers of ELs since 1993. Several years ago, Course Crafters published a successful e-newsletter for educators called The ELL Outlook. We’re making some of the most popular articles available free on our website, with insights on reading research and ELLs, formative assessment, and more. We’ll be adding to these with articles and blogs by Lise Ragan and guest bloggers in the months to come, on topics such as ELLs as Assets, ELLs and the ESSA, What’s Needed for Professional Development?, Funding and ELL Education, Effective Sustainable EL Family Engagement, and The Changing Face of Bilingual Education. This is the fourth in a series of articles that explore classroom implications of some of the findings of a study done by Gándara, Maxwell-Jolly, & Driscoll (2005). These researchers interviewed teachers of English Language Learners (ELLs) in California and identified challenges they face. enough professional development to help them teach ELLs. On top of all this, the 2005 Gándara et al. study found that “teachers expressed frustration with the wide range of English language and academic levels often found in their classrooms” (p. 8).